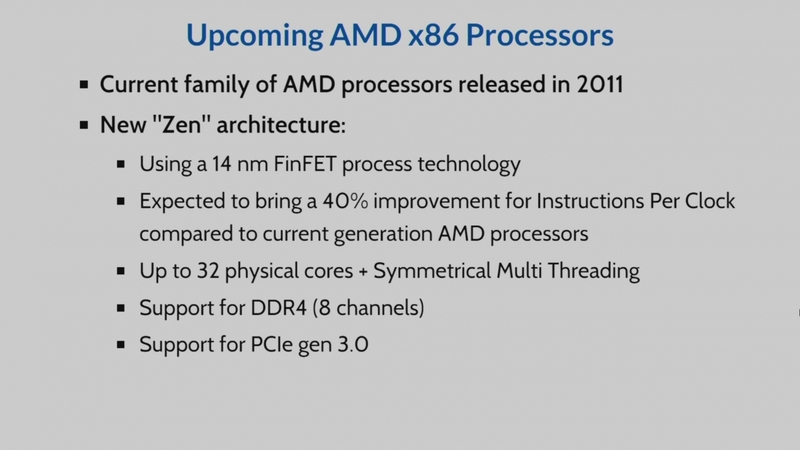 It looks like it will still be many months before we see anything official from AMD on their upcoming Zen processors, but that hasn’t stopped some information being presented at CERN’s recent IT Technical Forum. As spotted by The Tech Report, a CERN engineer revealed during the Forum that AMD’s Zen line-up would feature processors with up to 32 cores in two 16-core modules. These chips will also reportedly use Symmetrical Multi Threading, which is basically an AMD-developed version of Hyper-Threading. The slide from the engineer’s presentation also reveals that Zen will bring a 40 percent improvement in instructions per clock (IPC) compared to their current line-up. Along with more cores, this will make Zen a much more powerful line of CPUs, potentially with significantly improved power efficiency as well thanks to the use of 14nm FinFET technology. 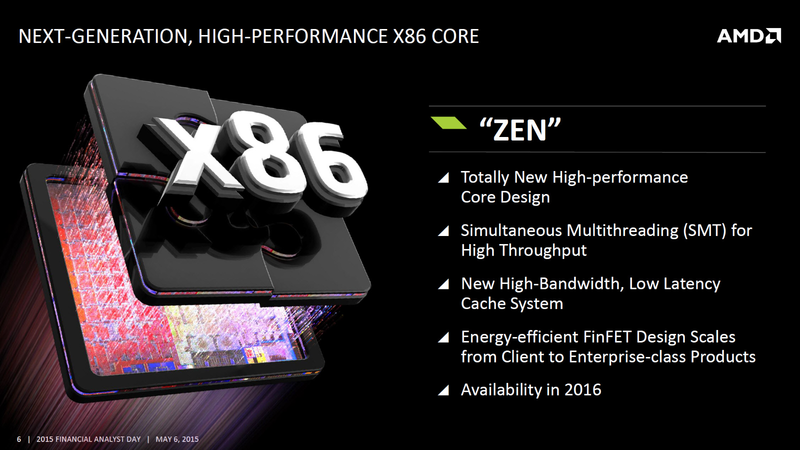 And finally, Zen will allegedly support both PCIe gen 3.0, and eight-channel DDR4. This essentially brings AMD’s line of CPUs up to feature parity with Intel’s current processors, and even going beyond with support for more memory channels, potentially to deliver enough bandwidth to all the processing cores. AMD is expected to formally announce and release Zen before the end of the year, and it could be just what the struggling company needs judging by this early information.